Because of our large and varied audience and travel community, we believe we can offer comprehensive help and services to anyone within the travel industry. Sponsored posts. If you would like to write a travel inspired post for our very successful blog then contact us, we would be delighted to hear from you! Brand Ambassadors. If you have a brand you would like us to champion, we can help. Our website and social media platform is the perfect place to spread the word about fantastic travel related brands and products. Reviews. 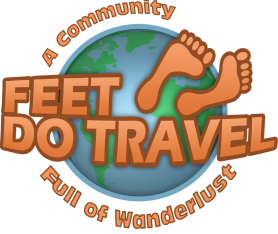 Have a travel product or service that you would like FeetDoTravel to review and promote? Let us know and we will see what we can do for you. Social Media promotions. We can use our powerful social media presence to help you achieve your goal. Provided that your goal is travel focused, we can help. Guest Blogs and Collaborations. We are happy to work with other travel bloggers, community members or travel companies on collaborative blog posts. We will also host guest blog posts on our site. Contact us to find out more. if you have an idea or opportunity, we are flexible and will work with you to achieve your vision! Contact us to find out what we can offer you or your business!